Anonymous, supports the resistance in Turkey with hacking the Turkish Government’s websites and communication tools. They announced this operation named #OpTurkey with a video in youtube. tccb.gov.tr, istanbul.gov.tr, iem.gov.tr and much more websites have been hacked by Anonymous. 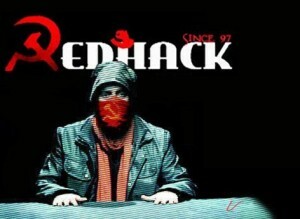 Turkish hacker team RedHack‘s Twitter accounts @TheRedHack and @r3dh4ck have been suspended. They continue their account from @KizilHackerLAR. You can follow the protesters from #RedHackSUSTURULAMAZ. RedHack announced they will join Anonymous‘ removing Israel from internet operation on 7 April 2013.